Colton Underwood & his cousin, Harper, who has Cystic Fibrosis and is the reason he started the foundation! 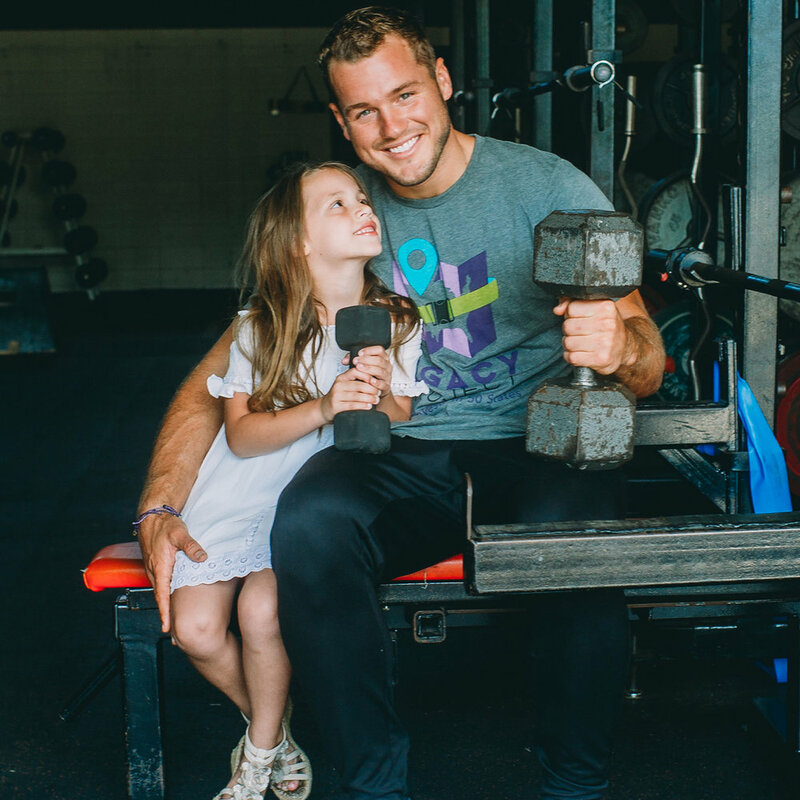 The Colton Underwood Legacy Foundation is a non-profit organization that was created by former NFL player, Colton Underwood to support and provide resources for people living with cystic fibrosis. We work to empower people with cystic fibrosis to dream big and live life fully while managing their health and medical challenges. Thanks to the support of private and corporate donations, in just three years the Legacy Foundation has given nearly $100,000 in cash and equipment donations to CF patients as well as clinics focused on treating people living with cystic fibrosis. Launched the Legacy Project to give 50 AffloVests to cystic fibrosis patients across the U.S. Visited children's hospitals with NFL players to brighten the day of patients. Raised $10,000 for the Cystic Fibrosis Clinic at a Children's Hospital to purchase aerodynamic bikes and medical equipment for patients. Raised a total of $60,000 for the Cystic Fibrosis Foundation during three football camps to support clinical studies and research. Join Colton on his journey as he gives an AffloVest to one person in each of the 50 U.S. States. Watch how new treatment options can help people with CF follow treatment plans while they focus on living, dreaming and creating their legacies. How Can You Support Those Battling CF? Your gift can better the lives of those living with CF. Leave your legacy today! Without our sponsors the Colton Underwood Legacy Foundation would not be able to affect as many lives as we do. Simply saying "thank you" does not say it adequately. We wouldn't be here without you. From the bottom of our hearts, thank you.